Total is 5 liner. I will also do all the swatches one by one and provide swatches together for all the liner for you to see and judge. 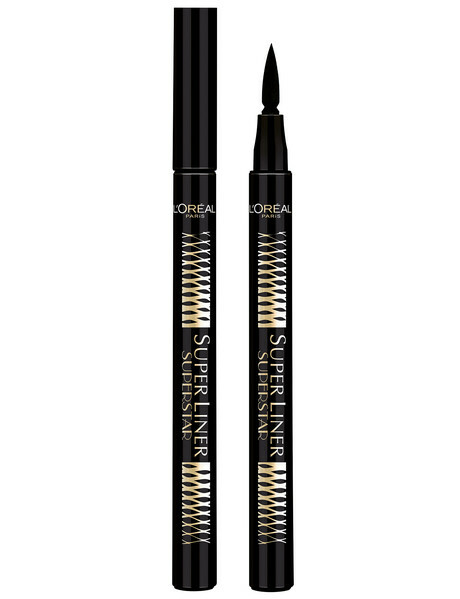 An ultra-rich, felt-tipped liquid pen eyeliner for up to 24 hours of instant drama and effortless, bold definition. Flaunt a killer line every time with Ink Liner. The innovative, no-fray marker tip holds the maximum level of formula, giving you bold lines with instant color lay-down and stunning intensity. Remarkably easy to use, the felt tip applicator provides total control for effortless eye lining. Rock your look around the clock with this formula that delivers a fade and run-resistant finish for unstoppable long wear. For effortless drama, put it in ink. 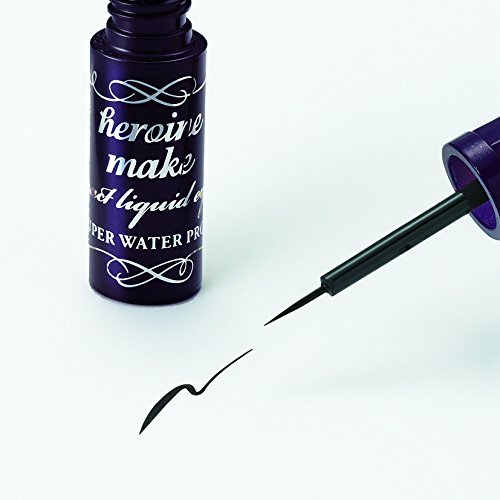 Shake Ink Liner before using so formula saturates the felt tip. For best results, wipe tip with a damp tissue before applying to prevent powder build-up, which may cause Ink Liner to dry out. Apply liquid liner on clean, dry skin (moisture can affect the wear). close to the lashes as possible. To thicken, turn the pen to angle tip on the side and layer. To emphasize lashes, lift the outer corner of your eye, exposing the base of the lashline; then dot the tip upward between the roots. Firstly, Find the right angle by following bottom lashline upwards, then create a small line at the corner. Second, drag the tip along your lashline, starting just above the pupil and work outward, creating a wing. Lastly, to make eyes more dramatic, go back and line all the way from the inner corner of your eye. Tattoo Liner is completely free of animal-derived ingredients and is not tested on animals. The Trooper shade is an Allure Reader’s Choice award winner. Tattoo Liner to dry out. Review: both of Kat Von d eyeliner mentioned above is the best eyeliner I ever touch and use, the thick black color is the precise color that I look for in eyeliner, the applicator is steadily in good quality even I keep pressing, it doesn’t melt and even quick to dry. The cons will be: expensive in price, however this eyeliner sustained for 3-5 month of everyday use. No mess or excess liner. A hyper-precise line for sharper, chicer eyes. Line your top lid in a single stroke starting from the inner to the outer corner of your eye. Repeat for a thicker, more intense line. This eyeliner is the most often used in my daily look, just because the tip of the pencil applicator is so easy for me to draw my liner, the tips is so slim about 0.01mm fine tip liquid liner. My eyes is hooded eyes, it doesn’t comprehend if I really want to draw bold and this cat wing eyeliner, it does look ridiculously Cleopatra eyes that is in Asian eyes, not compatible at all. The cons would be, the eyeliner is not quick to dry, and you have to wait for couple of minutes, like probably half to 1 minutes before you apply other mascara or perhaps you are someone who apply eyeliner first before false lashes then you have to add more minutes into your makeup hours. If you are someone who love to draw thick, bold and cat wing liner, or even love smokey or dark eyeshadow, then this one is for you. I recommend if you are someone who love to use coloured contact lens especially who’s born with blue, or grey eyes, this is for you definitely will enhance your eyes look. However, this liner also not having quick dry option for us, therefore you need to wait a moment like Maybelline Hypersharp liner. The absorbing of this liner is great and somehow the colour turned into black grey colour. Ink Well Tip: Releases ink gradually as you draw the line, for perfect control. Flexor system: Adapts to every movement to modulate the thickness of the line in one effortless sweep. Divine Black formula: For deep black colour and a shiny finish. Super Guard Polymer tightly clings to the skin to resist smudging and rubbing. No more worries about smudges or smears even when you sweat. It is particularly resistant to tears, sweat, water, sebum Ultra durable prescription. Gives you ultimate control and accuracy from super sleek and define lines to dramatically bold lines. you are used to draw liner, this will be the perfect liner for you, however due to my own skills using the liner, therefore the application is not up to my favour yet I still use it sometimes. The color is quite black, doesn’t really turned to grey or even dark grey at all. The liquid eyeliner is also good choice to add in your makeup wardrobe. I often buy this brand before Kat Van D launched in Singapore. Place to buy: Watson or Guardian (Drug store), Amazon.com. So, this is all of 5 eyeliner of my choice that I think it’s actually good, I also stated the pros and cons for each liner and the price. Hope that you can choose your perfect eyeliner after reading this. That is all for the review and now for the makeup tips. 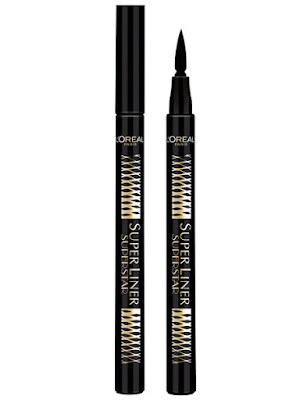 If you have problem with your eyeliner cuh as you cannot draw perfect cat wing liner, it maybe because the applicator, which is the tip of the liner, as you can see on the picture above from all the liner that already reviewed, the ink applicator are all different, got thin, a little bit puffy or thick. If you have hooded eyes like me, it’s better to use thin eyeliner with black bold color (if you want to use black as color) or you better use pencil liner and just draw it without wing, remember to also highlight in inner corner of your eyes. I recommended you to watch Pony’s makeup. Second tips, if you have gel liner and it’s already freezing, can’t even be use. Heat it up in the microwave for few second, if the gel liner break during the process, don’t re-purchased the brand anymore, because it’s a proof that this brand ain;t good for gel liner. Remember that! You can use metal inside the microwave. Third tips, if you eyeliner is melting half day during outdoor activities, chances are you doesn’t do any ‘baking’ for your makeup. ‘Baking’ means to put setting powder around your eyelids, yours under eyes, with beauty sponges, left it be for a while about 5 minutes and then blend it together. How to: dip the powder and placed it around your eyes, and left it be, then if you feel they blend together with your skin, try to puff it softly around your eyes, left it no traces. You can always refer to your MUA’s for this one. Carli Bybel give the tips for this. You need to know this, if you really wanted to learn about ‘how to do makeup’. Have you try any of the eyeliner yet?